Staircases are a pivotal part of any house. Not only are they crucial regarding the flow of people around the home, but they are also one of a property’s most distinguishable features. A well-designed staircase can invigorate the entire building, becoming a design focal point that elevates the property in which it sits. With this in mind, the idea of moving its position in the home is becoming increasingly popular amongst homeowners. Bespoke staircases can be designed to fit into most rooms in a property, opening up a wealth of possibilities for home design. 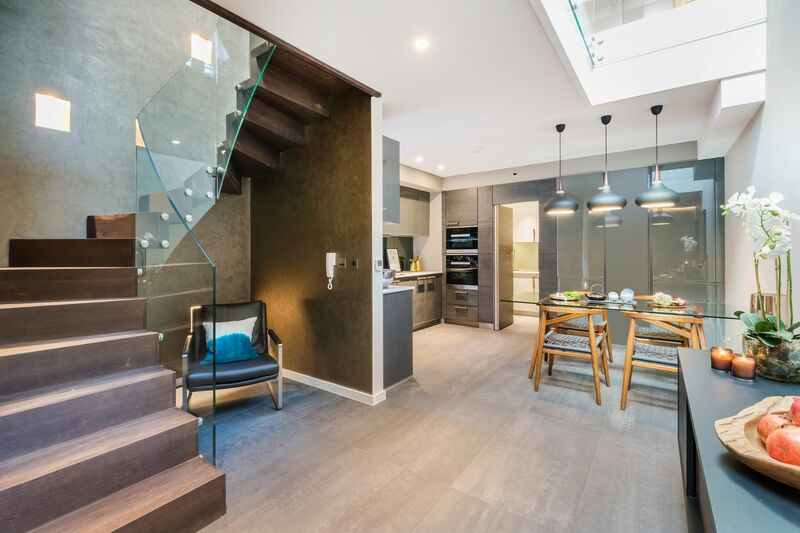 However, the positioning of a staircase can drastically alter the feel of a house, so it’s important to consider the effects before going ahead. One of the most important things to consider whenever moving the location of your staircase, or adding a second staircase to a home, is its effect on the flow of the property. Stairs are a vital part of the house and, often, are the most used location. However, some homeowners forget this because we do not spend time on the stairs as we do in other areas of the house. The flow is a crucial reason why staircases, particularly in older properties, are traditionally built close to the entrance of the home, creating a hallway that allows passage through floors without disturbing other rooms. For many modern, open-planned homes, this style can feel outdated. By moving the staircase from one area to another, you are also transforming many of the paths taken by members of the house every day. For example, if you move a staircase from the front entrance of a home to a room in the back, guests will have to walk all the way through the property before gaining access to the upper floors. This journey could disturb other rooms that guests have to cut through. Before moving your staircase, you must consider the new routes that people will make and what effect that will have on the overall flow of the home. The living room is something that has to be taken into account whenever moving the stairs. Depending on the layout of the home, this is often the room where people will converge and performs a plethora of tasks throughout the average week. By moving the staircase into the living room, you will be bringing much more traffic through the space, which can be both a positive and a negative depending on your room's style. If your living room is a space that people use to unwind, then including a staircase could disturb the peaceful nature of the area as it is used for travelling through the home. On the other hand, larger homes that often utilise the living room as a communal and social space could benefit from the increased energy that additional traffic will provide. Another significant thing to consider regarding living room stairs is their position in the room. If the new staircase is on the far side of the room, then users will have to cut across, which could disturb people watching TV or reading books. On the other hand, staircases on the near side will have significantly less effect on the room, as people may not have to enter the area to use it. Another option is for a spiral or curved staircase that has a central position in the space – this is a major design choice which will require the entire room’s layout to work for the stairs, meaning many factors will need to be considered in detail before understanding whether it will work for the home. Ultimately, whether a staircase in the living room will work for your property is down to the way in which your house operates. A vibrant but separated home may benefit from the connectivity that a deeper staircase can provide, whereas some houses may wish to keep the living room away from the bustle of everyday life. If you are interested in living room stairs, then you may look to create a simple design that doesn't overwhelm the room. If so, why not read our blog on how to create a minimalist style with stairs?